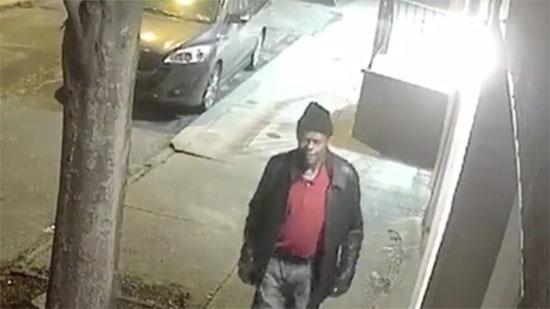 Philadelphia Police have arrested and charged a man who they say started a number of fires, including one at the Famous 4th Street Deli in South Philadelphia. 59-year-old Juan Barkley has been charged with arson, risking catastrophe, criminal mischief and other offenses. On February 12th, he is accused of setting fire to the rear of the deli on the 700 block of South 4th Street. Also on January 17th, a fire on the 800 block of Ranstead Street damaged an overhead facade. Finally on January 27th, a fire on the 700 block of South 5th Street damaged a parked vehicle. The arson task force linked all three fires to Barkley. He was caught on surveillance video running away from the fire at the Famous 4th Street Deli. Authorities in Delaware County say that damage to gravestones discovered in a Jewish cemetery on Friday night was not the result of vandalism. A woman and her mother went to visit the grave site of her father at the Mount Sharon Cemetery in Springfield Township last night. She discovered around 30 tombstones that were knocked over or broken and called police. Investigators have been in contact with the owner of the cemetery. This is not being investigated as a case of vandalism. Police say the stones could have been toppled for a number of reasons including weather, age, trees, and bush removal. Management will be making repairs. Police are investigating after an attempted child abduction in Quakertown, Bucks County on Friday morning. It happened just before 7 a.m. on the unit block of Elm Street. The 7-year-old boy was outside riding his bike when a man jumped out from a bush. The man yelled, “Hey little boy,” and tried to grab him. The boy ran to Neidig Elementary School where he was found by his mother. The suspect is described as a black man, 20-30 years old, thin build, with a buzz cut. He spoke with a raspy voice. He was wearing wearing a black pullover sweatshirt, black jeans and blue sneakers. Anyone with information is requested to contact the Quakertown Borough Police Department at 215-536-5002 or after hours 215-795-2931.